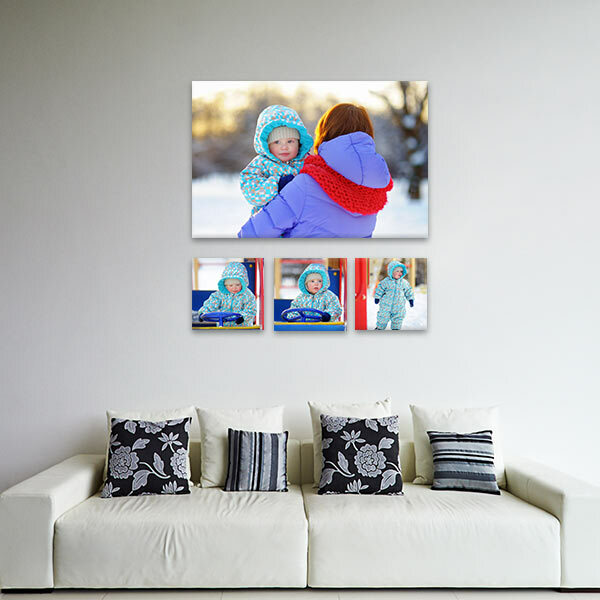 Turn your favorite family photos into a gallery display sure to attract the eyes of all your guests. 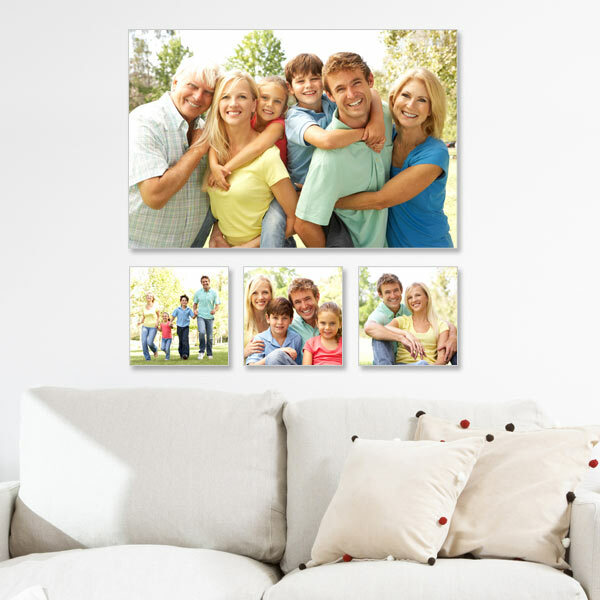 Cluster Canvas arrangements capture a moment in time and allow you to share multiple photos in one glorious arrangement. The Family Collection highlights four photos, one large photo and 3 square photos. 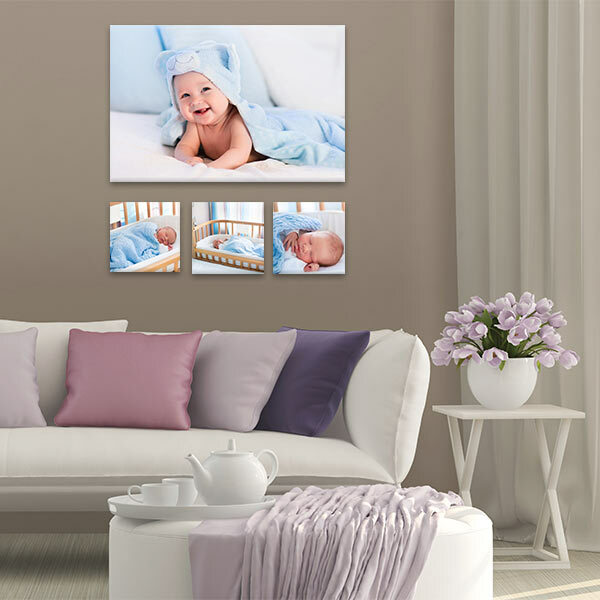 Depending on your main photo, the large photo in this collection can be displayed either vertically or horizontally, while filling the same amount of wall space, making the family collection a versatile arrangement for any set of photos you would like to display on canvas.